Sorry to keep going on about how wonderful film is but how many memory cards left frozen in the Antarctic would be readable a century later? 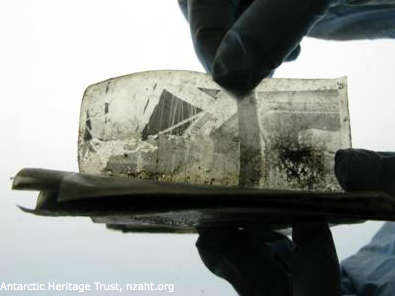 This negative was recently discovered by a team from the New Zealand Antarctic Heritage Trust. They found a box of negatives in a corner of one of the supply depots of Robert Falcon Scott, apparently established for his ill-fated 1910-1913 Terra Nova expedition to the South Pole. Imagine having to separate that lot. No pressure there, then! 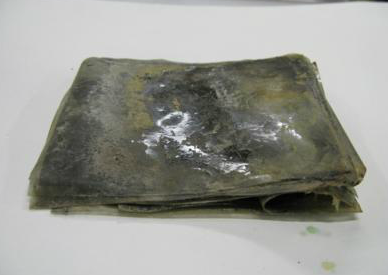 According to the Trust's press release published earlier this month, (sorry, I've just heard about it), "The photographs found in Captain Scott's expedition base at Cape Evans, Antarctica, required specialist conservation treatment. 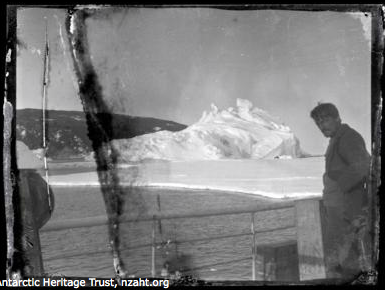 The Antarctic Heritage Trust (NZ) engaged photographic conservator Mark Strange to undertake the painstaking task of separating, cleaning (including removing mould) and consolidating the cellulose nitrate image layers. "Twenty-two separate sheets were revealed and sent to New Zealand Micrographic Services for scanning using a Lanovia pre-press scanner. 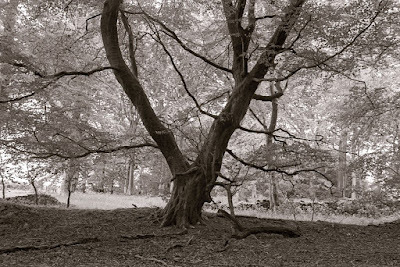 The digital scans were converted to digital positives." The negatives were found in expedition photographer Herbert Ponting’s darkroom and have been painstakingly conserved, revealing never before seen Antarctic images. They're from Ernest Shackleton’s 1914-1917 Ross Sea Party, which spent time living in Scott’s hut after being stranded on Ross Island when their ship blew out to sea. 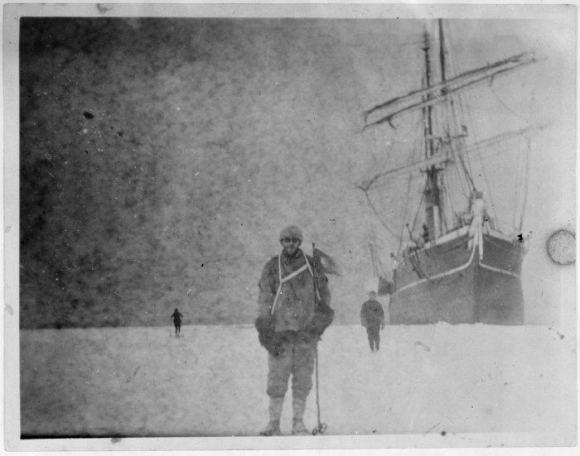 One of the most striking images (below) is of Ross Sea Party member Alexander Stevens, Shackleton’s Chief Scientist, standing on-board the Aurora. “It’s an exciting find and we are delighted to see them exposed after a century. It’s testament to the dedication and precision of our conservation teams’ efforts to save Scott’s Cape Evans hut,” said Nigel Watson, Antarctic Heritage Trust’s Executive Director. The Trust is a not-for-profit organisation responsible for the conservation of five historic sites in the Ross Sea region of Antarctica including Ernest Shackleton’s, Robert Falcon Scott’s and Edmund Hillary’s expedition bases through its Ross Sea Heritage Restoration Project. Work is currently centred on conserving artifacts from Scott’s 1911 expedition base and conserving Scott’s 1902 expedition base. All this makes me wonder how museums are going to store photography collections from the digital age. It's easy enough handling negatives or glass plates but pixels? Memory cards? CDs or DVDs? Hard drives? Solid state drives? How do they ensure that it all remains "readable"? Negatives are such an elegant solution. Quite interesting. Thanks for putting this up. Bruce - the battle of longevity is being fought in Hollywood! In the 90's a flood in my father's house ruined a lot of negatives. Looked more or less like those in the photo you posted. I thought that they were lost and throw them into the trash. Now I regret of my action but in that time I supposed that never would be a method the recovery them. By the way, my father was photojournalist, the photo had some importance by local history and others were good photos of stars of the time, like Louis Amstrong. But this was my awful mistake. I coincide too that film is better for edit and to preserve. I still had some photos that my father did of Che Guevara and Fidel Castro in Buenos Aires as other no so well known figures outside Argentina but that have historical importance here. The demonstration is crystal-clear. Film forever! Thanks for sharing this piece of eternity!